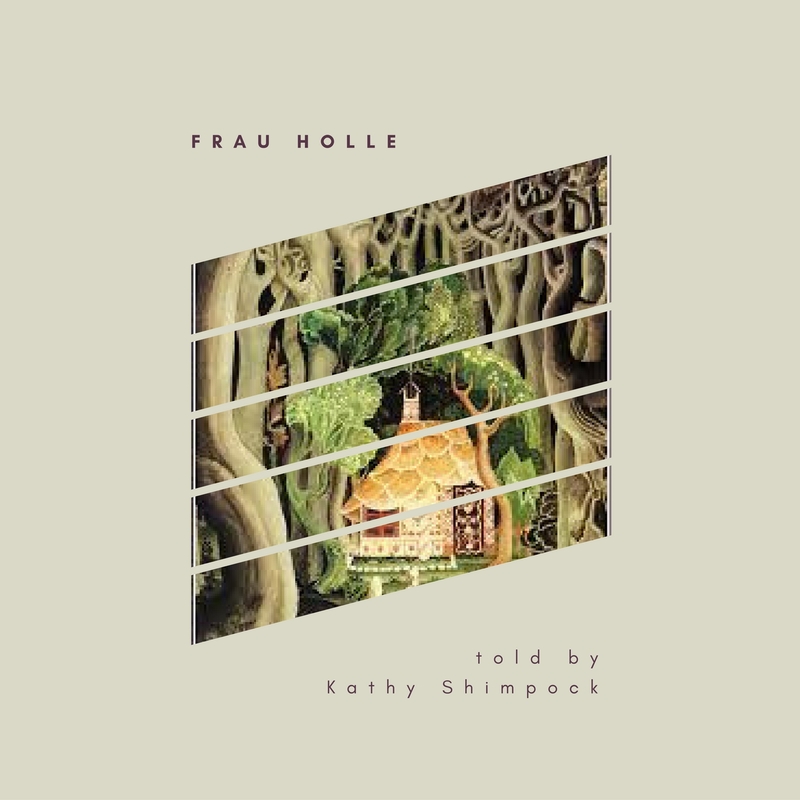 For the last few months, I have been discussing the folktale "Frau Holle." If you are unfamiliar with this story as it was recorded by the Grimm brothers, please refer to the May 8, 2016 post. 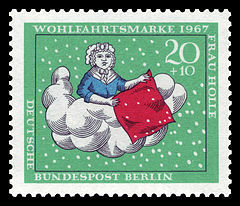 The folktale of "Frau Holle" is filled with rich symbolism. The story begins with a discussion of spinning. Jacob Grimm stated the "the spindle is an essential characteristic of wise women" making it an essential symbol for this story." She jumps into a well and emerges into a lake: all the symbols Jung identified with the Mother archetype. Each of her tasks move us further into this archetype, opening the oven ( a womb symbol) and gathering apples from a tree (symbolic for fertility.) The symbol of snow is the element of purity represented by the innocent child. Reviewing these symbols it appears that the entire story was crafted from the wise woman and female perspective most likely on an unconscious level. Carl Jung theorized that all elements of a dream or a story are parts of the Self. In the path to individuation, we seek to integrate our subconscious mind into our conscious reality. This includes bringing light and awareness to our shadow side. The following interpretation of "Frau Holle" is the author's based on her current knowledge and understanding of Jungian theories. The girl seeks to find a spindle, an element essential both to her value as a female and for economic sustencance. Symbolically that is the journey to the Self. She lives in a world that is discordant with a highly critical step-mother and a lazy step-sister. Jungians would identify all of these as parts of the girl. We can seeher own internal desire for perfection when she mindlessly jumps into the well after the missing spindle. She was unwilling to face the consequences of being less than the "good girl." She finds herself falling through the deep shaft of the well, an obvious reference to the unconscious mind and enters into a lake. She is now in the otherworld, a place foreign to her as is her unconsicous mind. It is here where the language of symbols and metaphors prevail. We see all of her tasks as symbolically referencing the Great Mother (or Wise Old Woman) archetype. The Great Mother is the one who represents the duality of light and shadow, embracing both sides. These are the archetypes of integration and the archetypes of the Self; for Frau Holle is the Self, that part that is both shadow and light, and contains inner wisdom. The girl is a youth and in many ways this is a story of maturation; but it is also the story of the innocent, naive self, becoming awake and aware of her full potential. As she seeks a return to her conscious state, Frau Holle praises her and grants the girl the gift of golden knowledge, for she brings the wisdom of Frau Holle back with her. After her return, she is changed and seeks to tell others of her experience (an act found often in the hero's journey (see Joseph Campbell's The Hero with a Thousand Faces) and described in detail in Carol Pierson's book Awakening the Heroes Within. The girl attempts to do so when she shares her story with her step-mother and step-sister. In the side story we see the step-sister fail miserably in her attempt to win favor with Frau Holle. The step-sister could be seen as the "Shadow," the negative part of the psyche which is unaware of the ways of succeeding in these tasks. She comes back showing her true nature (covered in tar) as does the first girl (who was covered in gold). The journey to individuation is this very journey to discovery.